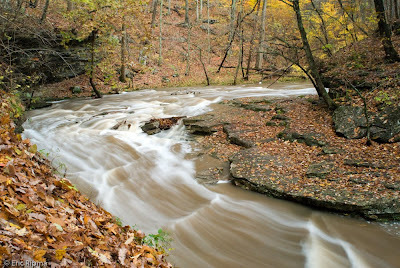 This picture was taken at McCormick's Creek State Park in south central Indiana. With lots of rain in the past week the creek was much higher than usual and the waterfall just downstream was inaccessible. It is out of this world beautiful! That looks like a painting, so beautifully captured! Come and see some parts of South Korea. Have great day! It does look like a painting, creative photo. I like the way you captured the flowing water. Thanks for sharing.